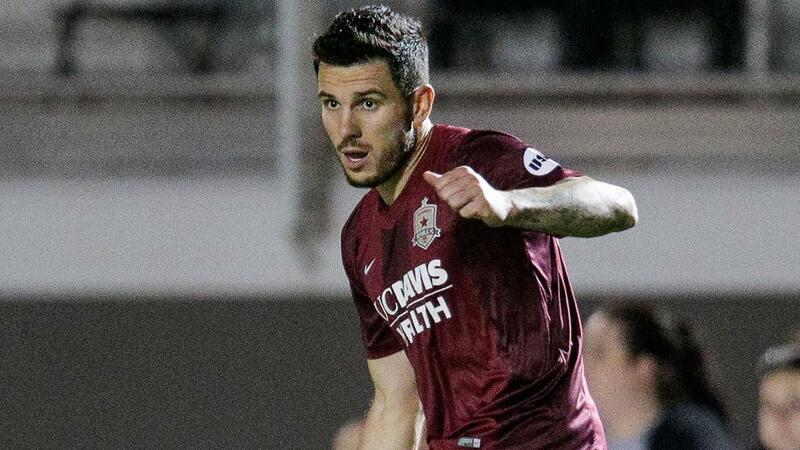 SACRAMENTO, Calif. – Sacramento Republic FC announced on Friday defender Emrah Klimenta had been called up to the Montenegro National Team. Klimenta will join the team in Podgorica, Montenegro on Wednesday and stay with the team through their World Cup Qualifying match against Armenia on Jun. 10. This is the second time that Klimenta has been called up to the Montenegro National Team. The defender previously joined the National Team from May 20 – 29, 2016 for a friendly match against Turkey. Klimenta earned his first international cap when he substituted into the match in the 75th minute. Klimenta tore his ACL shortly after his previous call-up on Jul. 2, 2016 in a USL match against Seattle Sounders FC 2. The defender returned to action eight months later, making his first USL appearance since the injury on Mar. 25, 2017 against S2. This is Klimenta’s first call-up since his injury. Klimenta and the Montenegro National Team will enter camp beginning May 24, which includes a friendly match against Iran on Jun. 4. The camp will culminate in a World Cup Qualifying match against Armenia on Jun. 10 in Montenegro’s capital city of Podgorica. Klimenta has appeared in 97 matches for Republic FC, including 75 USL matches. Klimenta is Republic FC’s all-time leader in appearances, USL appearances, starts (90), USL starts (71), minutes (8,131) and USL minutes (6,411).